Defence ministry officials in Dekgu said that during the talks, both sides also agreed to further ramp up bilateral defence cooperation. Nirmala Sitharaman is on a three-day visit to Russia. Defence Minister Nirmala Sitharaman held extensive talks with her Russian counterpart General Sergey Shoygu and Industry and Trade Minister Denis Manturov in Moscow during which both sides decided to expedite negotiations for various military platforms soon. 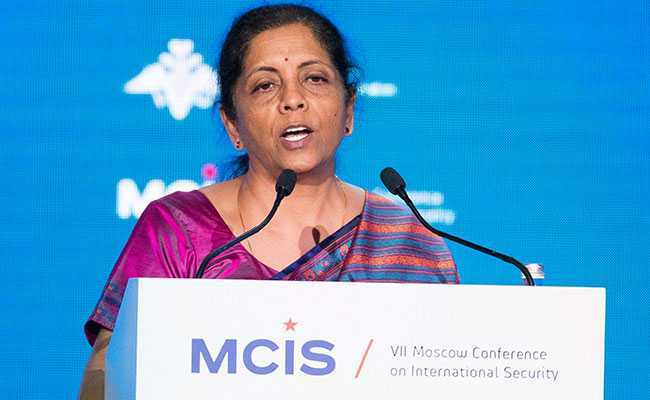 Ms Sitharaman is on a three-day visit to Russia to attend the VII Moscow Conference on International Security. Russia has been one of India's key suppliers of arms and ammunition. However, it has been a long-standing grievance of the armed forces that supply of critical spares and equipment from Russia takes a long time affecting maintenance of military systems procured from that country. India has been pressing Russia to adopt a liberal approach in sharing technology for components of major defence platforms as it was critical to keep them in operational readiness. Majority of India's weapon systems are of Russian origin. The issue is understood to have figured during Sitharaman's talks with both General Shoygu and Manturov. Both sides agreed to expedite negotiations for various military platforms, the sources said. The two countries are yet to finalise a nearly Rs 40,000-crore deal to procure S-400 Triumf air defence missile systems for the Indian armed forces mainly due to differences over price. Thet are also yet to finalise a number of other deals. India wants procure the long-range missile systems to tighten its air defence mechanism, particularly when China has been ramping up its military manoeuvring along the nearly 4,000 km Sino-India border. 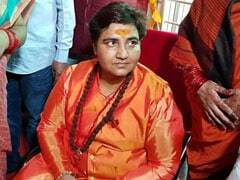 About her talks with Manturov yesterday, the defence ministry here said both the leaders reviewed the ongoing military technical cooperation projects between the two countries, including measures to promote India-Russia joint industrial activities under the 'Make in India' programme, especially for after-sales support. The two leaders also discussed participation of Russia in Defence Expo to be held in Chennai from April 11 to 14. In her talks with General Shoygu, Sitharaman discussed issues of bilateral importance, especially military-to-military cooperation and other regional issues. "These included a review of the roadmap of military cooperation involving exercises, training, exchange of visits, and India's participation in International Army Games to be held in Russia later this year," the ministry said. Last evening, Ms Sitharaman also attended a concert by Sarod Maestro Ustad Amjad Ali Khan to mark the closing of the year-long celebrations of the 70th anniversary of India-Russia diplomatic relations. Today, Ms Sitharaman met Defence Minister of Vietnam General Ngo Xuan Lich on the sidelines of the Moscow conference on security. She also met Serbian Defence Minister Aleksandar Vulin and discussed ways to enhance bilateral defence cooperation. A vision document, issued after the talks between Prime Minister Narendra Modi and Russian President Vladimir Putin in St Petersburg, had said both the countries decided to work towards a "qualitatively higher level of military-to.military cooperation".